Chances are you’ve probably got some sort of WIP (work in progress) going on, right? Answer these six questions and we’ll guess what you are crocheting right now! Who are you crocheting for? 2. Getting comfy with a good book. 4. Out and about in nature. 5. Taking some me time. 1. Some kind of juice. 3. Caramel Macchiato with cream. 2. I like it best at home. 3. A nice house by a lake. 4. Skiing in the mountains! 5. Somewhere I can take my pets! We’re guessing you’re crocheting for a child! Maybe some booties or a baby blanket? If not, maybe you should be! Take a look at our amazing patterns here! You want to get cozy with a new comfortable blanket! We’re guessing you’re crocheting a new accessory to relax on the couch with. Maybe one of our many patterns? A snazzy new garment is always a good idea! You must be crocheting a sweater or cardigan! If you want some inspiration, there’s a lot of patterns just waiting for you to get your hook on! A hat, mittens, or a scarf! Get ready for a winter vacation or a frosty walk in the countryside! 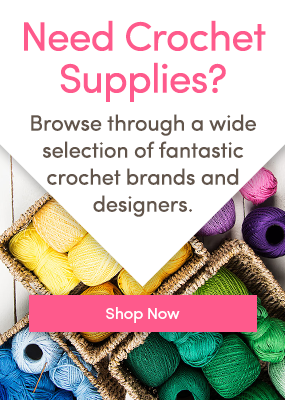 Are you already crocheting or need some more inspiration? We all love crocheting for our friends and loved ones, but you can’t forget your furry friends! If you need some help, check out our pet patterns here if you want to make our prediction come true! Did we get it right? Tell us in the comments! 10 Thoughts When Crocheting for Mother’s Day This Color Quiz Will Determine Your Next Project! Quiz Time! Bet we can guess who taught you to crochet! Which Big November Yarn are You? 51 Responses to Bet we can guess what you’re crocheting at the moment! Your quiz is spot on…..except that I have 2 WIP blankets going right now. I switch back & forth between them. Both are my own pattern ideas. Nope, currently working on a laptop bag, modified from the Summertime shopper paint box pattern available here. you were right on. I am making a blanket for my 2nd great grandchild. I am working on a doggie blanket for my dogs. Also 2 scarves for my sisters. Nope. Socks. And, you left out the beach in holiday destinations. I’m crocheting a baby blanket for my neice’s 2nd baby due in October. This was funny. The quiz said I was working on baby projects. I’m not at the moment. For the past 6 months I was crocheting baby things. I decided to take a break and do something selfish and make something for me. I ordered some gorgeous yarn from England and started a shawl. After that I’ll be continuing with the baby projects. Yup. Im actually doing the first two. 😀 a baby blanket and a cosy blanket for my son and his wife. Not this time. I’m making a large hot pad for the kitchen counter. Not this time…afghan for family member! Not a baby though! lol… nope. I am currently powering my way through the Midsummer Night’s Shawl, in Taureg-colored Malabrigo lace. Going well, especially considering I am usually knitting instead of crochet, but do both. Pretty close. I’m crocheting an amuragami lady bug (pattern I got from Lions Brand) for my grandson! Nope I ‘m working on my 4th cape – 3 for my 2 granddaughters and another family member’s 1st Holy Communion and the 4th for a wonderful friend in my apartment complex! Not even close! It said I’m making a baby blanket, something for my pet, hat mittens or scarf, or a sweater or cardigan. I’m currently making filet crochet curtains for my kitchen. Pretty close, but not quite. I’m making my 10 year old granddaughter a poncho. Good quiz, though. Sorry, you guessed baby project but I’m working on a kitty bed. Although they are my fur babies, so it could be scored as a partial win. Almost done a baby sweater set but took a break and am working on some dish cloths. No, making an Afghan for my nephew. Graduation present. Close enough. It’s a doll blanket for charity which I do a lot of. I crochet and knit. My knitting projects are scarves. My crocheting project is beanie hats, all sizes. All of it gets donated to the local area rescue mission for the homeless. Not a sweater or cardigan but it is something to wear…a tunic style top. almost right, making baby, premie hats and booties for donation . Your wrong I’m making a comfortable for a friend who has cancer. It’s through Heart Made Blessings. Not even close! I’m making dolls and stuffed toys for the patients of a local memory care facility in memory of my mother (who taught me to knit and crochet). No. Not even close. I’m crocheting a tablecloth. Well you are kind of right. It’s not a baby blanket but a blanket for both my sons. 1 is 31 and the other will be 27 in May. Yeah right on making baby hats and blankets for charity. Nope. A blanket, throw by Helen Shrimpton. Wrong! I’m crocheting a blanket that looks like Leggos for my soon to be grandchild. Absolutely right for the first one. Baby booties,hat and scratch mittens to donate to the Hospital NICU that I work for as aNurse. Not for a baby, but an afghan for my daughter. No. Am making fingerless mitts for family gifts, using sock yarn, with knitted cuff and crocheted lace for remainder. My own pattern. Sold dozens at Christmas craft fair. You said I was crocheting for a baby. Not exactly, but if you called my husband my “baby,” then you would be right on! Wrong….Working on my Sophie’s Universe blanket, a German Shepherd amigurumi for a friend about to lose hers, a ruana for me, and a needlepoint for a granddaughter. Sorry, no cigar. Am working on a baby blanket to donate. Cute quiz. yes, I’m working on a baby blanket of my own design (first time) and I’m also working on scarfs and shawls. No. 🙂 I am working on a make up bag for my trip to Belgium and Holland. I may crochet a blanket for my doggie though. Currently knitting a snood for my daughter after she had seen the on I knitted for her daughter. When next order arrives will also be starting a crocheted baby blanket for my physio. Really love the Stylecraft yarns. No I am making butterflies for my grand daughter in the shape of a big M to go above her bed. She wanted them to be pink and purple. So that’s what I’m making. Even though they aren’t hard to make it feels like it’s taking so much time to make them. But it will be worth it when they are all done.